TWENTY-ONE foreigners, activist Farai Maguwu, and two drivers who trespassed into the Chiadzwa diamond fields on Friday were yesterday fined US$100 each by a Mutare magistrate. Among the 24 were citizens of Brazil, Britain, Kenya, South Africa, Swaziland, Uganda and Zambia. 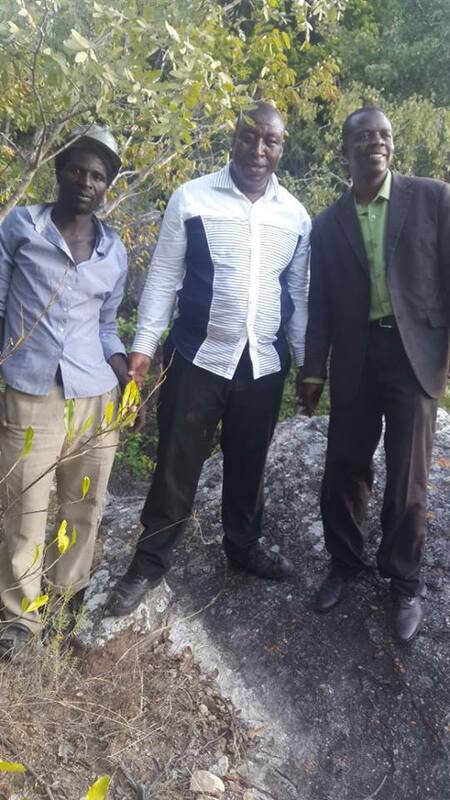 They were arrested in the Mukwada area during an unsanctioned Operation Hakudzokwi “commemoration” organised by a group calling itself the Bocha Diamond Community Trust and Maguwu’s Centre for Natural Governance. They all pleaded guilty to contravening Section 4(6), as read with Section 4(2), of the Protected Areas and Places Act (Chapter 11:12) which bars entering protected areas without a permit. Mutare magistrate Mr Lazarus Murendo ordered 22 of them — minus the drivers — to pay US$100 each or spend a week in prison. Mr Brighton Shamuyarira prosecuted while Mr Passmore Nyakureba, Mr David Tandiri and Ms Roseline Hanzi appeared for the 24. The convicted foreigners include Rhiain Moses (21), Railwedzha Maena Thabo (31), Bohale Milicent Busisiwe (32), Tembo Roida Musonda (60), Susan Chilala (43), Decastro Amedee Peret Rodrigo (62), Docus Kapwaya (67), Chance Mashudu (49), Pinky Langa (28), Motloung Sabatini (27), Hubert Mduduzi Mbokane (45), Dunezweni Sekwaneke Dhlamini (48), John Bosco Okwong Ocyer (48), Bongani Tsela (45), Julia Maria Andrade Gomes (36), Viera Dasilva Jarbas (29), Kithel Gladys Mongare(30), Cabangile Monica Dlamini (52), Peace Mathew Hlabane (47), Bernadette Malamba (66) and Nokuthula Thuli Msibi (34). The drivers, Kudakwashe Machawira (26) and Elijah Chomusora (32), were cautioned and discharged. British citizen Moses, who was living at Maguwu’s house in the low-density suburb of Greenside, had overstayed in Zimbabwe by two months. Moses is a student in Paris, France and had initially visited her relative, Heather Stewart of Highlands, Harare before hooking up with Maguwu. 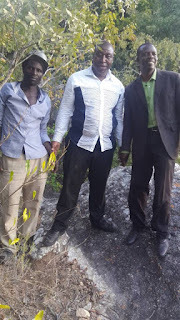 Prosecuting, Mr Shamuyarira, said on November 10, Bocha Diamonds Community Trust held a meeting at Mupanga village, Mukwada which is located in the Chiadzwa diamond fields. “Lovemore Mukwada convened the meeting to gather the community’s opinion on the impact of mining and come up with a petition to demand development in the area using proceeds from the diamonds. “The accused persons attended the meeting. On the same day, Maguwu was approached by the police and was asked to produce a pass or permit since he was in a protected area. When Maguwu failed to produce the pass or permit, this led to the verification of documents for the other accused persons. All the accused persons failed to produce passes and permits. They were subsequently arrested and taken to CID offices in Mutare for further investigations,” said Mr Shamuyarira. The foreigners are members of Mining Affected Communities United in Action Group, which says it advocates for environmental justice and miners’ rights.